For an aspiring novelist, there’s nothing more scintillating than sleeping in a famous writer’s former home. Scott Turow—acclaimed author of 11 novels and three nonfiction titles—once lived in this 10,800-square-foot manse in Glencoe, IL, 25 miles north of Chicago. 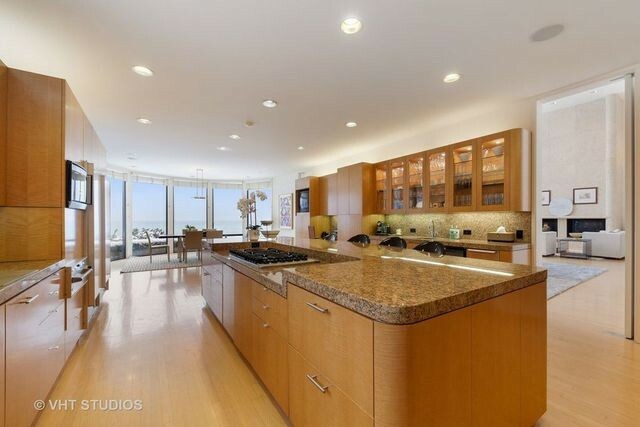 It recently sold for $5.15 million after nearly two months on the market. Turow owned the home from 2001 to 2009, according to Crain’s Chicago Business. 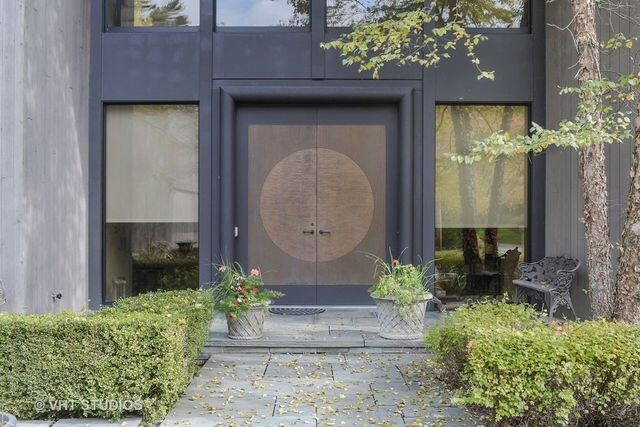 Listed with Marlene Rubenstein of Baird & Warner Highland Park for $5.5 million, the modern home was built in 1997 and designed by Tony Grunsfeld. 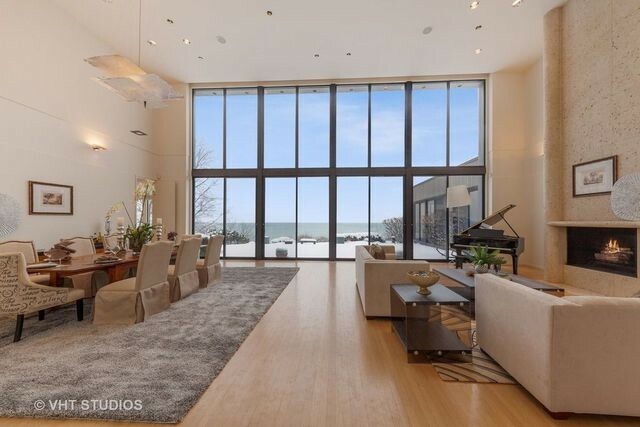 Sitting on the shores of Lake Michigan, the five-bedroom home is packed with luxe amenities. They include a chef’s kitchen equipped with wine cooler, warming drawers, indoor grill, and Sub-Zero appliances. 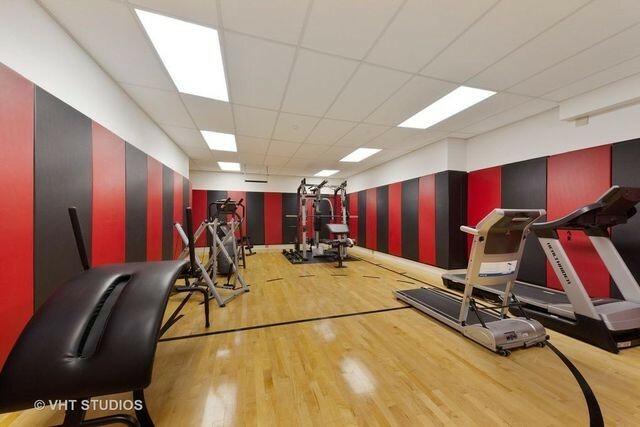 An enormous home gym features black-and-red-striped walls to get you energized for working out. There’s also a library (of course) with built-in shelving and wall paneling plus a fireplace to keep things cozy. 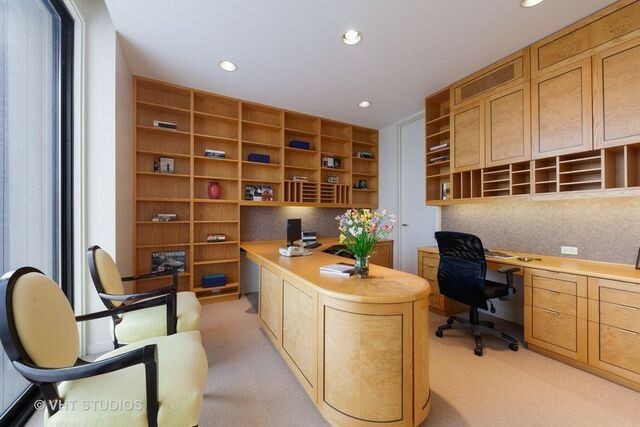 When it’s time to buckle down and go to work, the owner can retreat to a stellar home office. And executives will swoon over the conference room located on the lower level—it’s perfect for hosting off-site meetings. The extensive use of blond wood and walls of windows enhances the spacing and lighting of the home’s open floor plan. 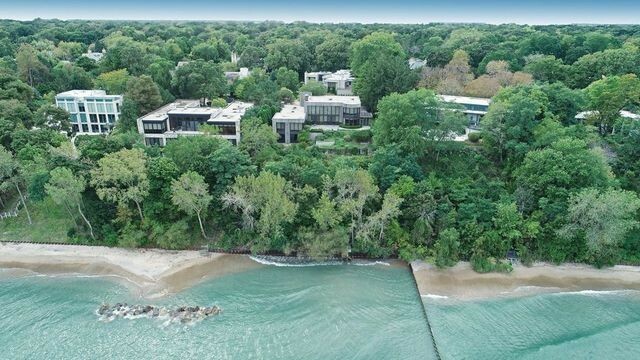 Nearly every room features fabulous views of Lake Michigan, and the property comes with 133 feet of private beach. A four-car garage means there’s ample room for vehicles and other toys—like, say, a boat. The master suite is on the first floor and features his-and-her dressing rooms, a walk-in closet, and access to the patio. Three en suite bedrooms are located on the second floor.